1.T shape base, worktable only moves in Z axis. So it can load heavier part. 2.Low gravity center of entire machine, so machine has better rigidity. 3.Casting body adopts box shape structure with internal built-in reinforced ribs, so machine has better vibration resistance and heat resistance. 4.X axis guide rails are in ladder shape, so column can withstand large front impact from machining. It is very good at inner hole boring and milling. 5.XY axis linear motion is constant design, not affected by workpiece weight, so it has better precision. 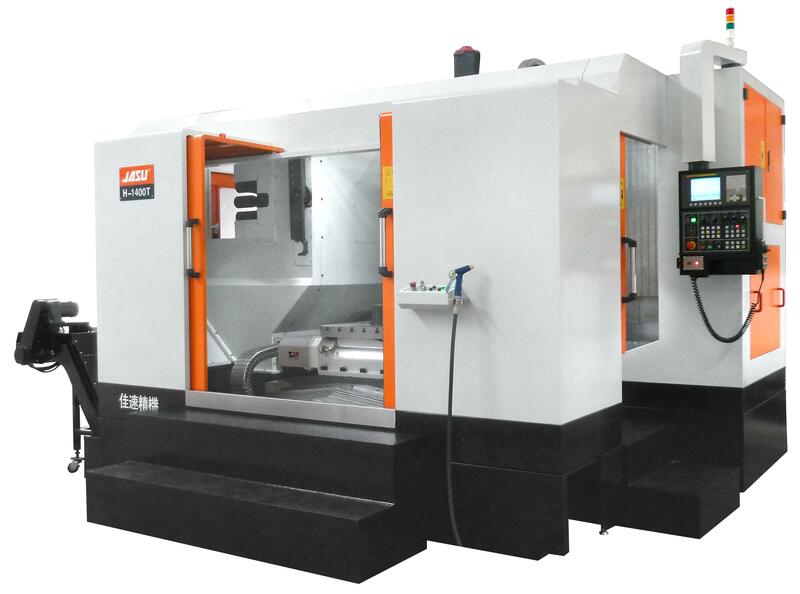 6.This machine is exactly suitable for box shape workpiece machining, like engine and gearbox shell. 7.Twin chip augers locate each side of casting base, which can efficiently discharge cutting chips. 8.Optional gearbox spindle with larger output torque for heavy duty machining.